Or, in Monty Python parlance, Welsh Dragon sausages without so much dragon in them (or spam, for that matter). Trading standards said Black Mountains Smokery in Powys must also include the type of meat used in the sausages - pork - to meet labelling regulations. Jon Carthew said: "I don't think any of our customers actually believe that we use dragon meat in our sausages. In the busy week and head cold that followed it, I forgot to post a link to the photos I took at the Renaissance Festival on Nov. 4. Click on the photo at the top to go to the Flickr set. We had a good time, as always. I've been going to TRF for 20 years now and I've pretty much had every type of weather Texas can throw at you in October and November, except ice and snow (we got close one year at 35F and raining... I think it turned to sleet that night after we were home). This year was lovely... around 70 and partly cloudy. I've taken my camera many times, but other than the first year I went, I think this is the largest number of photos I've taken. I guess I get sidetracked by shopping and music and forget the camera most of the time! Besides staying up way too long to watch election results last night, I have had a totally busy day today. 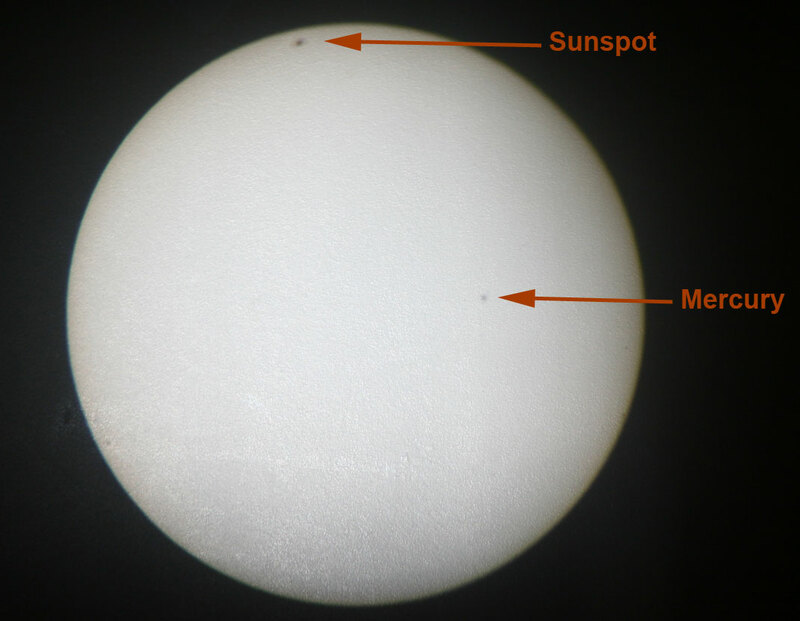 Depending on where on you were, you may have been able to watch Mercury transit the sun. It's one of those types of astronomical events that some people find really neat and others can't figure out what the big deal is. In this case, Mercury is very small and it moves pretty slowly across the disk, but the alignment is fairly rare (the next one is 10 years away and the last one visible from Austin was in 1999). I've linked the above image to a photo I took of the image from our solar telescope at work. It's actually projecting against a wall, so it may look a little weird in places where the paint has chipped a little. All-in-all, it was a neat transit. Now I have the Venus transit of 2012 to look forward to!